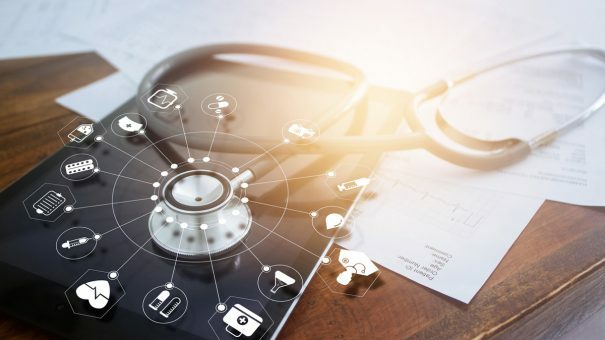 The World Health Organisation has opened discussions into a roadmap for accelerating the digitisation of health systems in Europe. At the WHO Symposium on the Future of Digital Health Systems last week in Copenhagen, Denmark, more than 300 decision-makers, policy experts and researchers from 50 countries gathered to discuss how companies in Europe can design and invest in digital innovations that strengthen health systems to achieve better health for all. In her opening speech, WHO regional director for Europe Dr Zsuzsanna Jakab outlined some of the remaining barriers to digital adoption. “We know that European decision-makers face multiple challenges when introducing innovation into health systems,” she said. “These include allocating finances for the development of digital health services; integrating data across multiple, diverse systems; and ensuring that the health workforce is not only equipped to use technology but is also trusting and open to embracing the change that it inevitably brings. Experts at the event were keen to highlight the many benefits of digital health – including its ability to improve the reach, impact and efficiency of health care, as well as improve the training of the health workforce, strengthen public health surveillance, and provide health services to remote and underserved populations. Digital health can also empower patients to take control of their health, and aid in the transition from reactive treatment to proactive prevention of diseases, they said. But the governance of digital health systems requires urgent attention, and credibility and public trust are essential to realising the full potential of digital health. New standards and regulatory approaches are needed to ensure security and transparency so that patients are confident in the use of their data. The need to invest in ‘bold, innovative and far-reaching’ partnerships between state actors; with patients, communities and youth; with international partners, academics and researchers; and with the private sector was a recurring theme throughout the symposium. In his closing speech, Dr Hans Kluge, director of the Division of Health Systems and Public Health at WHO/Europe, outlined the next steps in developing a European roadmap for accelerating the digitalisation of health systems. He underlined the importance of Member States’ support in developing the best-possible roadmap. “When building this roadmap, we must not only be conscious of creating an unwanted digital divide, but also reaffirm our European values of solidarity and equity by actively designing and investing in health systems that prevent the divide,” he urged.